කුමාර් චෝක්ෂානද සංගක්කාර මා දකින්නේ ඩොන් බ්‍රැඩ්මන්ඩ්ට පසු එතෙක් මෙතෙක් බිහි වූ සුපිරිතම පිතිකරුවෙක් ලෙසින්ය.ඊටත් වඩා එහා ගිය පෞර්ශත්වයක් ඔහු තුල ගැබ්ව ඇත.ක්‍රීඩාවේදී මහත්මයෙකි.බොහෝ දෙනෙක් පවසන්නේ දැන් මැච් බලන්නේ සංගා නිසා බවයි.සංගා ගැහුවොත් එදාට මැච් එක ගොඩය.කලින් අවුට් උනොත් සේරම ඉවරය.අද දවස ඔහු පිලිබද වැඩිපුර කතා කරන්නේ ඔහු දියත් කල සුපිරි ඉනිමක් ගැන නම් නොවේ.ක්‍රිකට් පරිපාලකයන්ගේ නොසැලකිලිමත් බවේ පවට සංගාට කර ගැසීමට සිදුවූ නිසාවෙනි. ඉන්දියානු ප්‍රීමියර් ලීග් තරගාවලියේදී සංගා නියෝජනය කල හයිඩ්‍රාබාද් කණ්ඩායම චැම්පියන්ස් ලීග් තරගාවලියට සුදුසුකම් ලැබුවේ පසුගිය මැයි මාසයේදීය.ඊට අමතරව ඔහු නියෝජනය කල කදුරට කණ්ඩායමද මෙම තරගාවලියට සුදුසුකම් ලැබීය. ඒ මින් සති කීපයකට පෙර නිමා වූ අන්තර් පලාත් තරගාවලියේ ශූරතාවය ලැබීම නිසාවෙනි.රට පෙරට පැමිනියේ මේ සමගින්ය. එහෙත් අප දන්නා පරිදි චැම්පියන්ස් ලීග් යනු රටවල් අතර පවතින තරගාවලියක් නොවේ.මෙය ඒ ඒ රටවල ක්‍රීඩා සමාජ හෝ ඉන්දියනු ප්‍රීමියර් ලීග් තරගාවලියෙ මුල් කන්ඩායම් අතර පවතින තරගාවලියකි.නමුත් අපේ පාලක මංඩලයටනම් එය රට රටවල් අතර පවතින තරගවලියකි. 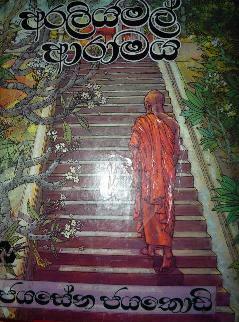 එ නිසා සංගා රට වෙනුවෙන් ක්‍රීඩා කල යුතුමය. ඉන්දියානු ප්‍රීමියර් ලීගයට පාලක මණ්ඩලයේ අවසරයකින් තොරව ක්‍රීඩා කිරීමට නොහැකිය.අද සංගාට මුහුන දීමට සිදු වූ වැනි තත්වයක් අනාගතයේදී උද්ගතවනු ඇතයි බවට එදා නිලධාරීන් නොසිතුවේ මන්දැයි මා නොදනිමි.සමහරවිට ඔවුන්ට ඊටත් එහා ගිය රාජකාරි තිබුනා විය හැක.මෙම තීරණයත් සමග ඔවුනට සිදුවී ඇති පාඩුව ඩොලර් 150000 පමන වේ.දැන් ඔවුනට ඒ පාඩුව දරා ගත හැක.මක් නිසාද යත් දැන් සංගා ක්‍රීඩා කරන්නේ අපේ රට වෙනුවෙන් නිසාවෙනි. රටක ක්‍රිකට් පාලක මණ්ඩලයක් යනු රටේ ක්‍රිකට් පිලිබද ආයතනය මිස යම් පාසලක හෝ ගමේ ක්‍රීඩා සමජයක් පාලනය කරන ආයතනයක් නොවේ.මෙවැනි ගැටලු පිලිබදව බලධාරීන් මීට වඩා වගකීමෙන් කටයුතු කල යුතුය.නිසි වැඩපිලිවෙලක් තිබිය යුතුමය. 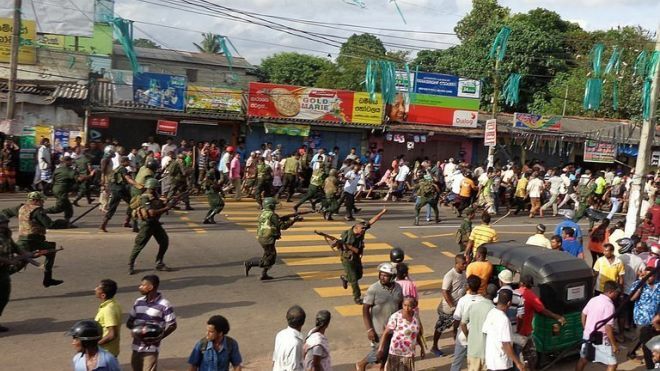 ක්‍රීඩකයන් පිලිබදව මීට වඩා සිතනවා නම් එය අගනේය.ඔවුන් අප රටේ සම්පත්ය.ප්‍රශ්නය වන්නේ මෙවැනි ආකරයෙන් සිතන්නන් පාලක මංඩලයේ සිටීදැයි යන්නයි. කෙසේ වෙතත් බලධාරීන් මින් මතුවටවත් මෙවැනි දෑ පිලිබදව පැහැදිලි දැක්මකින් කටයුතු කරන්නේ නම් එය බොහෝ දෙනාගේ හිත සුව පිනිසම වන්නේය. Billy Joe is a cowboy. A young cowboy. He works restless at the farm. One day he gets ready to go to the town in the evening. His mother cries as he walks out “don’t take your guns to town son”. Because of ignoring his mother’s advice he gets killed at the bar as he meets with a gun fight. This is actually a nice song sung by Johnny Cash. Though this was released in 1958, I first listened to it a few days ago while I was watching the Killing Season. I don’t know much about Johnny Cash and I got interested in him only after listening to this song. කාලෙකින් මගෙ දෙසවනට හොද සිංදුවක් ඇහුනා.කොච්චර ඇහුවත් මේ වගේ සිංදු කවදාවත් එපා වෙන්නෙ නෑ.මොන වැඩේ කර කර හිටියත් ඒ වගෙ සිංදු ඇහෙනකොට අපේ අවධානය ඒ දෙසට යන්නෙ නිරාසයෙන්මයි.සිංදුව තමා ගුණදාස කපුගේ මහත්මය ගයනා කරන අධිනීතිඥ රංබණ්ඩා සෙනෙවිරත්න මහත්මයා ලියපු දවසක් පැල නැති හේනේ කියන ගීතය. සිංදුවෙ මුල හරියෙදි අපිට මතක් වෙන්නෙ පැලක් නැති හේනක වැස්සක් වැටෙන කොට අම්මා කෙනෙක් තමන්ගේ පුතාව වැස්සෙන් ආරක්ෂා කරන්න හදන හැටි.ඒත් එහි සැබැ අරුත නම් ඊට ගොඩක් වෙනස්. මෙයින් අදහස් වෙන්නේ සැමියා අහිමි බිරිඳක් තම පුතා ලොකු මිනිහෙක් කරන්න හදන උත්සාහය.තාත්තා නැති ගෙදරට දුප්පත්කම කියන වැස්ස වැටෙනවා. ඒ වැස්සේ අම්ම තෙමුනත් පුතාට තෙමෙන්නෙ දෙන්නෙ නැතිව පුතාව ලොකු මිනිහෙක් කරනවා. පුත ලොකුවෙලා දීගෙක යනවා.සමාජයේ වැදගත් මනුස්සයෙක් වෙනවා.ඒත් ඒ විවාහය වැඩි කල්තියෙන්නෙ නෑ.බිරිඳ මොහුව අත හැරල යනවා. එහි නින්දාව රජරට නුවර පරවල් දිගේ වහිනවා වගේ මොහුට දැනෙනවා.දෙවෙනි වතවටත් මොහු නින්දාව කියන වැස්සට තෙමෙනවා.එවිට ඔහුට හිතෙනවා අම්මගෙ ආදරේ කොච්චර සුවඳද කියලා. අනුරාධපුරේ ඉදන් මොහු කොලඹට එනවා.එහෙදිත් අහස කලු කරගෙන මූදු සුලං එක්ක වැස්සක් වහින්න හදනවා වගෙ මොහුට තේරෙනවා.කලින් වැහි දෙකකටම අහුවෙලා ඉන්න මොහුට තවත් වැස්සකට තෙමෙන්න බයයි.මේ වෙනකොට ඔහුගෙ අම්මත් මිය ගිහින්.මොහුට සියලුම දේවල් අතහැරල යන්න තිතෙනවා ගමට ඒ උනත් ඔහු අම්මගෙන් අහනව මෙන්න මෙහෙම. කොච්චර පරණ උනත් රසවින්දනය තාමත් එද වගෙමයි කියලයි මට දැනෙන්නේ.ඔයාලටත් ඒ වගේමයි කියල මම දන්නවා.මොකද අපි හැමෝම අපෙ අම්මලට ගොඩක් ආදරේ නිසා. 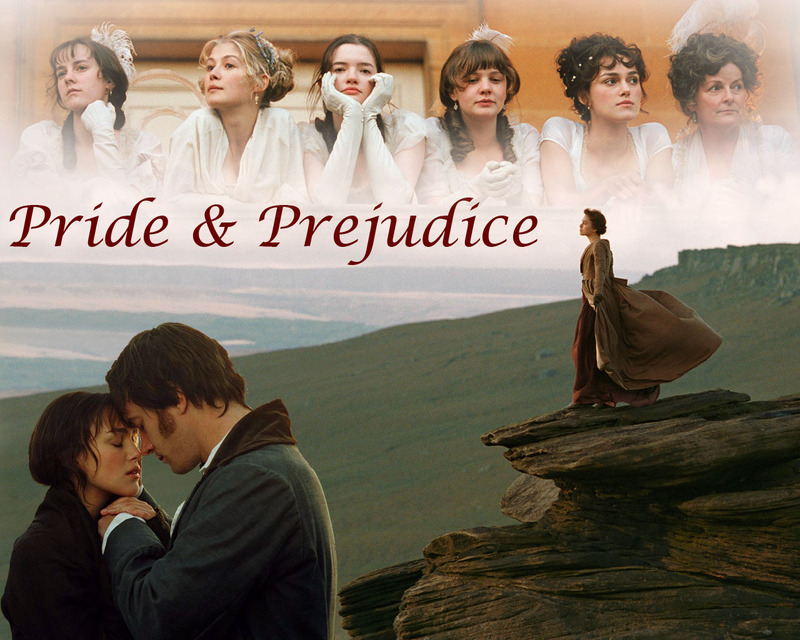 Finally I finished watching Pride & Prejudice. Arrogance and pride melted in front of the love. Speaker of this movie, Elizabeth Bennet has done the best jutification to her role. Every one should agree with me this without any debate I hope. Without some reasons I delayed day by day to watch this movie and at the end I could watch it. Bennet family is a modern family at that time in England. Mr. Bennet is a good and wise man and also a good father to a five beautiful daughters. Mrs. Bennet also is a good mother but she always thinks that these five girls will be a burden in future because she is worried as to how she finds life partners for these five ladies. As a mother it should be reasonable but the way she tries to do this is not fair I guess. From the beginning Elizabeth thinks that Mr. Darcy is arrogant and proud man and what the solider Wikham told her helped her to jump into that conclusion more and more. I also think that he is proud from the beginning and I changed my mind at the end of the film. Lydia runs away with Wikham. Jane & Elizabeth get good life partners. Mr. Collins, Lady Catherine, Caroline Bingley are some of the characters in this movie. This film was released in 2005. Joe Wright is the director of this movie. Keira Knightley as Elizabeth, Rosamund Pike as Jane, Donald Sutherland as Mr. Bennet, Brenda Blethyn as Mrs. Bennet, Matthew Macfadyen as Mr. Darcy and Simon Woods as Mr. Bingly are some of the main roles in this movie. Everyone can watch this movie hope it is more suitable for school children to watch this if they can watch this while reading the book Pride & Prejudice. ජයසේන ජයකොඩියන්ගේ අරලිය මල් ආරාමය නව කතාව මම කියවා ඇත්තේ මීට වසර ගනනාවකට පෙරය. 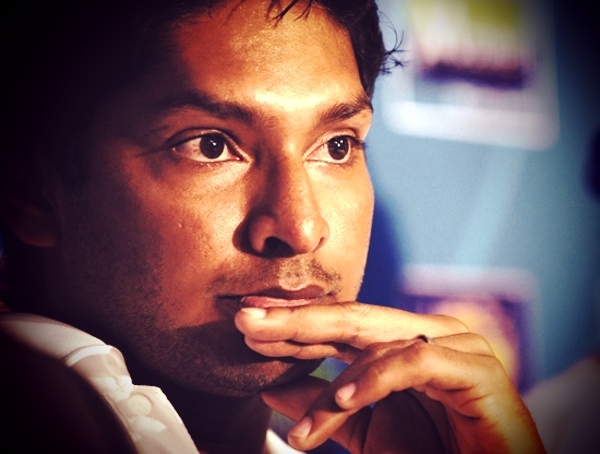 ඒ මම අ.පො.ස සා/පෙල නිමවී ප්‍රතිඵල අපේක්ෂාවෙන් සිටිනා කාලය තුලදී ගමේ පුස්තකාලයේ සාමජිකයෙකු වූ බැවිනි.ඊටත් කලින් මෙම නව කතාව ඇසුරින් රූපවාහිනියේ විකශය වූ ටෙලි නාටය නරඹා සිටියෙමි.එහි වූ චරිත පිලිබදව නම් මට දැන් මතකයක් නැත්තේය.එහෙත් රාහුල තෙරුන්, කමලවතී,සිඤ්ඤප්පු වැනි චරිත අදටත් මගේ මතකයේ එලෙසින්ම පවතින්නේ එම චරිත වලට පන දුන් අය විශිෂ්ඨ රංගන ශිල්පීන්,ශිල්පිනියන් නිස වුවාට සැක නැති නිසාය. රාහුල තෙරුන් වචනයේ පරිසමාප්ත අර්ථයෙන්ම ශ්‍රේෂ්ඨ බුද්ධ පුත්‍රයෙකි.ඒ බව කතුවරයා විසින් මනාව සදහන් කර ඇත.නමුත් එය අතිශොක්තියෙන් නොවන බව නම් සදහන් කල යුතුමය.උන් වහන්සේට එන නින්දා ගැරහුම් දරා සිටින අකාරය පෙර බුදුන් වැඩ සිටින කාලය ගැන සිහිපත් වේ.කමලාවතී හා සිඤ්ඤප්පු හැම වේලවෙම රන්ඩු වූ ගමන්මය.දෙදෙනා ඔවුනොවුන්ට නෝක්කඩු කියා ගත් තැනක් නොමැති තරම්ය.සුමේධා කෙසේ හෝ බලන්නේ තෙරුන්ගේ හිත දිනා ගැනීමටය.ඇය කොතරම් මෝඩ දැයි විටෙක මට සිතේ.යම් දෙයක් සිදුවූ විට සමාජය ඒ පිලිබදව බලන්නාවූ අකාරය මෙම නව කතාවෙන් මනාව පිලිබිඹු කරයි. වරක් කියවුවොත් නැවතත් කියවීමට තරම් සිතත් මට මෙන් ඔබටද පහල වනු නොඅනුමානය. 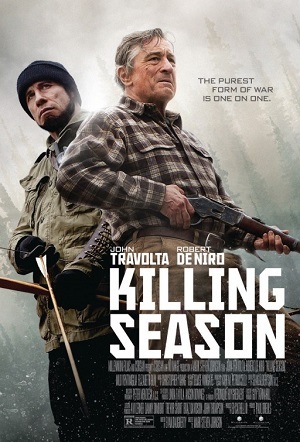 Killing Season one of the best movie I watched. The story is based on a civil war in Bosnia but it is not a war film. It shows the meeting of two worriers in two opposite sides in Bosnia war and how they react to each other. This meeting does not happen accidentally and one of them try to revenge on each other and end with an unlikely friendship. Benjamin Ford (Robert De Niro) is a former operative cornel in NATO army. He has a cabin in mountainous area and he spends time there because he wants to forget the war which he fought in Bosnia. One day he meets Emil Kovac (John Travolta) as a European tourist in his hunting trip. The movie describes the conflict of these two after their meeting. Whole film is running with few characters and it is almost less than fingers in my hand. This is a newly released film it was released in July this year. I watch this type of movies since I like to watch the movies which include curiosity than drama. වැලිවේරිය අද ලංකාවේ කුඩා දරුවා පවා කතා බහට ලක්වන ප්‍රදේශය වී ඇත.මින් දින කිහිපයකට උඩදී එම ප්‍රදෙශයේ ජනතාව පාරට බැස්සේ තමන්ගේ ජල මූලාශ්‍ර වලට අවට කර්මාන්ත ශාලවකින් පිටවන අපද්‍රවය නිසා එය පරිභෝජනයට නුසුදුසු බව කියමිනි. මෙය කාලයක් තිස්සේ ඔවුන් තුල පැවති ඉවසීමේ උච්චතම අවස්තාව ඉක්මවා යෑමක් විය හැක.ජලයට අපද්‍රවය මුසු වී එය පරිභෝජනයට නුසුදුසු නම් එය බරපතල ගැටලුවකි.බලධාරීන් ඇස් කන් පියා සිටියා විය හැක.නැතිනම් පැලැස්තර විසදුම් දුන්නා විය හැක. අවසානයේ අහිංසක ජීවිත 3ක් අකාලයේ නැතිවිය.තව ටික දවසකින් මෙයත් එක සිදුවීමක් පමනක් වී අතීතයට එක්වනු ඇත.ඒ ලංකාවේ හැටිය.මිය ගිය පුද්ගලයන් ගැන දේශපාලන වේදිකාවේ නොයෙකුත් කතා ඇසෙනු ඇත. ඔවුන් විටෙක වීරයන්ද විටෙක ද්‍රොහියන්ද වනු ඇත.එහෙත වැලිවේරිය ජනතාවගේ ප්‍රශ්නය එසේම පවතිනු ඇත.මන්ද සියල්ලූම බොරදියේ මාලු බානා බැවිනි.